home > Calendar & News > Latest News > 6th Form > A-Level Results Day… What next? 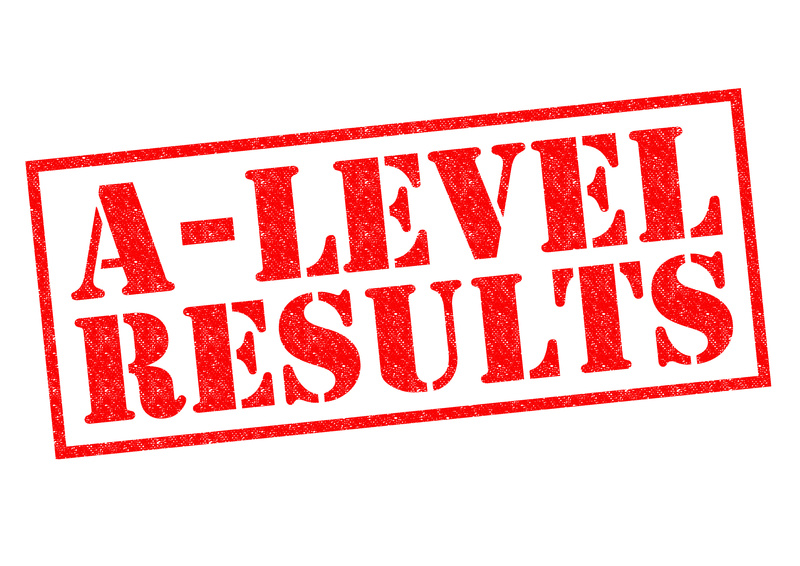 A-Level Results Day… What next? After what probably seems like a lifetime of waiting, you have reached the culmination of the last two years of coursework, revision, exams and hard work and now here it is, A-level results day. For many, it means finding out whether or not you have gained the university place you wanted and applied for back in January or earlier. But for others, there are going to be plenty of choices to consider and decisions to make.text. The ideal scenario for many when they open the dreaded envelope is that they get the grades they want, and receive an offer from their university of choice. If this applies to you, congratulations, please keep in touch! Despite not meeting the Offer made by your first choice university, you may still have a place, so don’t reach for the tissues just yet. Last year, a large proportion of pupils “missed” their first choice by a grade or two (their “CF”) but were still accepted. You may well already know this because of Track. If you missed out on your first choice, you might well have got your second choice. You do not need to do anything, there is no need to contact the university. Well done, this gives you the option of “trading up”. That is, you are eligible for UCAS Adjustment and can use Track and look for courses and universities that you perhaps, initially did not consider. You do not lose your first choice, and you do not have to enter Adjustment. The majority of students eligible for Adjustment chose to stick with their first choice, and I personally think that this is perhaps the wisest thing to do. However, the choice is yours. I achieved the grades I wanted, but I have decided I don’t actually want to go to university right now. After all the stress and hard work of the last few months, some students simply want to take a break from education. If this is the case, you must contact the university directly and ask to defer. Although some will deny your request, many will allow it, and the quicker you contact them, the better. However, this decision should not be taken lightly. If you did not do as well as you expected, do not panic. Even if you did not get into the universities you applied for, alternative routes are available. Clearing – Clearing is a way for universities to fill the spaces they have left for the academic year. Last year, 55,700 applicants were placed through Clearing. That’s about 12% of all university places. A list of Clearing spaces will be available from 8am on results day. The earlier you apply, the greater your chances of success. The Daily Telegraph has a dedicated Clearing app which shows live spaces, to help you keep up-to-date. Retakes – If Clearing is not an option, or you have your heart set on a particular campus, then re-sitting your exams may be an option. Before you decide to do this, take the time to talk with your teachers and your Tutor. Be honest with yourself. Did you really give everything you had, or could you have done better? If your answer for the latter is yes, you can apply to repeat your exams but beware. You will likely need to be far more disciplined, and as you will still have to do all of that exam revision and preparation again only this time, you will not be in a classroom. Just “re-sitting” does not guarantee an improved result. Reapplying – If you just missed out, cannot find anything you like in clearing but are confident that your grades are still “good” then you can apply for a place at university for September 2019. You will need to make a fresh UCAS Application, and your Personal Statement will need a little bit of editing but as a student applying with grades-in-hand rather than “predictions,” you will be in a strong position. You could also use the intervening months to “bump up” that Personal Statement by volunteering or getting some relevant work experience. University is not for everyone. And, regardless of your results, there are a number of other options available to help you embark on your career. Apprenticeships, internships and volunteer roles are great ways to get started in a profession, and there are thousands available. If you have gained a place at university and now wish to turn it down, please contact the university immediately and let them know. Your place can then be offered to someone else.